Green Dogs is a non-profit organization committed to rescuing animals in need, rehabilitating them, and professionally training them to become therapy dogs. They will be placed in their forever loving homes to bring compassion full-circle. GDU focuses on the rescue, rehabilitation, and training of special needs animals who are trained to work with special humans in need. 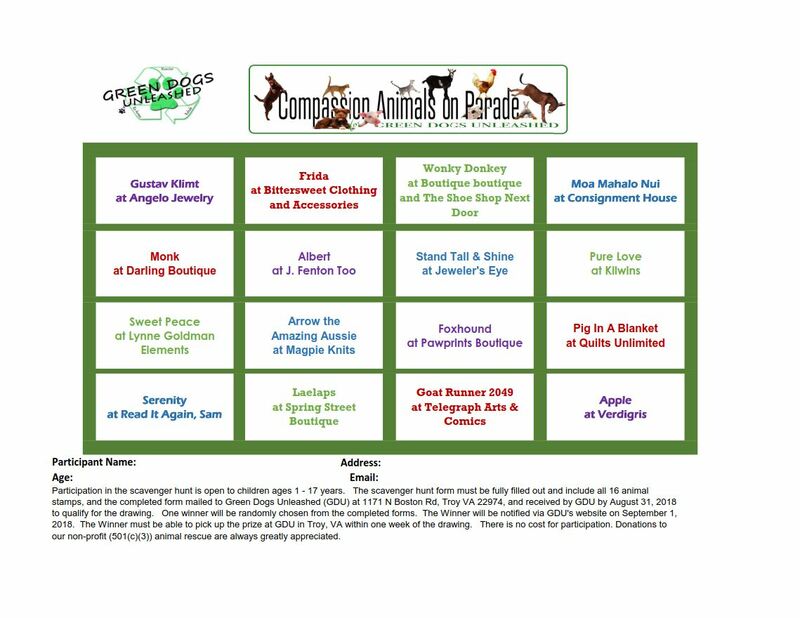 To bring the essence of the Green Dogs Unleashed Therapy Dog Program to downtown Charlottesville. To raise awareness and funding for the life saving work of GDU. To support the wonderful local businesses downtown. To honor the incredible artists who have donated their time to paint the Compassion Animals for GDU. 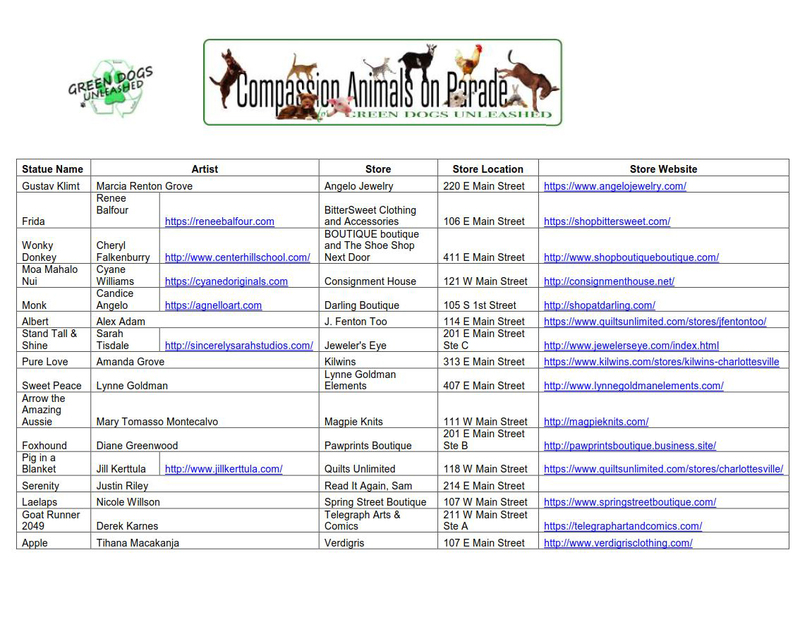 Look for Compassion Animals on Parade on the downtown mall over the next three months starting in May. Silent Auction bids can be made inside each store and will help support the local businesses. It will be a joyful fun filled three months. Let’s all support our amazing artists, our creative local businesses and of course Green Dogs Unleashed. We appreciate your support. Compassion Animals On Parade sharing our love with the world. Use these links to download either .jpg or printer-friend .pdf files of the Scavenger Hunt Sheet and Statue Location List.